SEO stands for Search Engine Optimization or simply put, making small changes to your website that improve the ability of search engines to find and index the content you are serving on your web page which would in turn result in more visitors from Google searches. With some exceptions like authority websites, each page on a website is ranking for specific keywords or key phrases keeping in view the relevance of the content being served and the optimization of said content and web page in regards to various SEO best practices and on-page optimization techniques being deployed. This post deals specifically with on-page SEO optimization techniques so I’m not going to discuss off-page optimization techniques here. I also won’t delve too deeply into keywords or keyword research either as those are separate topics in themselves. Outlined here are 10 web page optimization techniques to help you improve on-page SEO to boost Google rankings for your web pages. Unique and quality content will always rank, no matter what. You ask why? Because a search engine’s job is to find the best and most relevant content for any given search query irrespective of whether the copy has been optimized for search engines. This goes without saying but never ever copy content, don’t duplicate it, don’t spin it and don’t plagiarize it in any form period. Search engines recognize low quality and duplicate content in an instant and this will ultimately hurt your search rankings; you won’t rank for most of the copied content to begin with. Most importantly, create content for your users (human beings), not search engines. Real users and shares by these real users is what will drive traffic to your website for this content. Spend some quality time researching a topic, picking keywords with decent amounts of traffic (you don’t want to rank for something nobody is searching for) and low competition in your niche when starting out. This will help your website to begin ranking for some of the selected keywords; slowly but steadily you can move to keywords with medium and high competition once you’ve established your website rankings with low competition keywords. Ranking for keywords with low competition will also help you improve your keyword research and ranking strategies when you move to medium and high competition keywords. Use the Google AdWords Keyword Planner or any of the other keyword tools available online to research on keywords, levels of competition associated with different keywords, average monthly searches, etc. You can also filter by different countries, cities and regions to help you target specific demographics and niches. There is no fixed length for how long an article or blog post should be, but it has been proven time immemorial that longer content ranks better in SERP (search engine results page) rankings. Typically if your copy has over 2000 words and you provide an in-depth analysis on any topic, you will rank better and find yourself on Google’s top 10 search results faster. With this being said, 9 in 10 copies average less than 2000 words. Note before moving forward – You could potentially ignore this entire on-page SEO guide and your content will still rank if the quality is good and your content is unique. If your copy is quality content with close to 2000 words, you probably have points 2 & 3 covered already. However if you do a little research and optimize the content further, you will rank faster than you could imagine; the difference is substantial. LSI stands for Latent Semantic Indexing. These are basically keywords that help identify your content/topic as they are linked to your main keywords via a series of algorithmic techniques. Some of these are synonyms, some are similar searches but ultimately these keywords/key phrases help search engines provide you as an end consumer with better search results while taking into account an entire spectrum of variations as opposed to simply matching keywords and providing you with content stuffed with specific keywords or key phrases. As search engine AI’s continue to learn, optimize and further improve themselves, LSI keywords will hold more value in SERP rankings. If you have quality content on a web page with 1000+ words, you would have included some of these LSI keywords by default. There are many online tools to help you find LSI keywords for your specific niche. Long tail keywords are ideally four or more words that constitute a search query on a search engine. The easiest way to find some long tail keywords is to search for anything on a search engine such as Google and look at the searches related to part at the bottom of the page; searching for the keywords you’re trying to target will show you some closely related search queries to your niche. 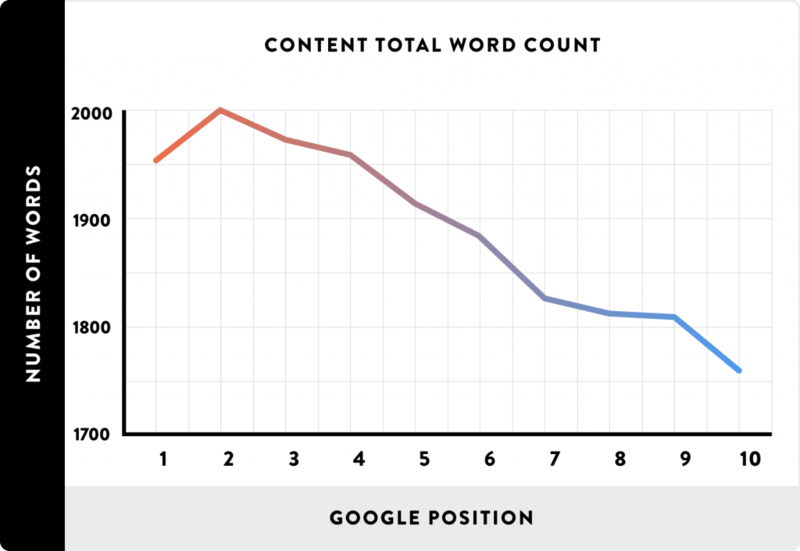 You will notice many suggested search terms or queries that are typically longer in length. These long tail keywords normally have less competition and will help you rank faster on search engines. Since these are more user specific and directed at accomplishing certain tasks for the end user, you can capitalize on it efficiently to convert your leads and find users specifically interested in the product or service that you’re offering. Close to 70% of monthly search engine traffic is from long tail keywords so you don’t want to ignore this. Title tags such as your meta title help search engines and users alike recognize the topic or subject of the content on your web page. Make this unique and accurate in regards to the content on your page and the keywords you’re trying to rank for. If a user searches for a keyword or key phrase and it appears in your page title, it will be in bold and highlighted by search engines to help the user recognize the relevance of the page which in turn increases click-through rate. Every page should have its own unique title tag as the title tag is one of the most important on-page SEO factors. The ideal length of a title tag is 50-60 characters. Keeping this under 60 characters will ensure that it displays correctly on 90% of devices, this is especially important since the majority of online search traffic is generated via mobile devices with smaller screens. This is a description of your web page shown by search engines on their index to potential visitors to your website. Make this something that provides value to a potential visitor who might click the link to your web page and has found you via a specific user query. The meta description does not necessarily help you rank in SERPs but keywords from user queries are highlighted and can help your CTRs (clickthrough rate) if you use them optimally. A higher CTR indicates to Google that you are a good source of information for the search query. Even if your ranking on Google search is lower than a competitor but you command a higher CTR, it helps Google realize that your website listing is a more relevant search result (for the query) and this helps improve your search ranking. Meta descriptions should be brief, descriptive and unique to every page. With the new Google update in December 2017, 320 characters is the ideal length for the meta description in 2018. Note – It is very easy to copy-paste the same meta title and meta description across a range of pages on a website or worse yet, to not have a meta title and or meta description; we have all done it. DO NOT DO THIS – Not only will it confuse search engines but it will also negatively effect your search rankings for pages where you actually have relevant content as it will make individual pages harder to rank due to the inability of your audience (potential website visitors) to differentiate pages based on their unique descriptions. These are your H1, H2, H3, H4, H5 and H6 tags. Think of your webpage as a book and the H1 tag denotes the title of your chapter. The H2 is your sub-chapter. Any further sub-divisions would be marked with the H3 tag and so forth. Every HTML 5 web page should have a clear and structured hierarchy with the use of Header tags and this will help structure the content better as well. Use your designated keywords or key phrases in your H1 tags for the best on-page optimization. This includes internal linking of pages on your website as well as external backlinks to content on your website. Anchor text (text in which a hyperlink is wrapped) should clearly indicate what the linked content is and helps search engines better understand the relevance of the link and for you to rank for keywords in relation to specific web pages. Search engines have difficulty recognizing images (this is changing and evolving with newer technologies). In all SEO best practices, ALT tags should clearly indicate what the image is and include your keyword or key phrase if applicable. Users of accessibility technologies can hear the name of the image via screen readers. These images also show up on image search results so ensure they are well labelled. Over 50% of searches are from mobile devices, this is only going to increase moving forward. Make sure your website is easily found by search engines on mobile devices (via mobile sitemap submission on Google Search Console) and that you provide a robust user experience. Use the Google Mobile Friendly Test to see if your website is optimized. URL structuring refers to what your page URLs are for any given web page on your website and how it flows and changes as you move deeper into your website. Optimizing URL structuring aids and improves search engine crawling of your website as well as shows a much cleaner URL to a potential visitor when they view the URL on search engine results. You can optimize URL structuring to include keywords and more information about the content being served on said page. Good URL structuring improves site navigation, helps search engines find information faster on your web page and in turn provide better search results to potential website visitors. Optimum URL Structuring does not directly improve search rankings but helps search engines find information faster. These guidelines help improve Google ranking and hold true for websites built on any and all CMS systems such as WordPress, Drupal, Craft, Joomla, etc. SEO remains the same for manually coded websites as well, the only difference would be the availability and integration of tools or plugins that make implementing SEO easier. This used to be popular back in the early days of search engines but holds no value in 2018, feel free to skip this entirely. This is crucial to any website and should be the primary order of business when setting up a website. Google Search Console provides many valuable stats about a website such as search queries that brought visitors to your website, impressions of your website on Google with country specifics, rankings on Google search results, etc. You can also use this to manually request Google to crawl your website and add it to the Google search index faster which is especially useful after making changes to your website. As the name suggests, it provides analytics of visitors once they land on your website. You can find stats on user acquisition such as where they came from or which websites referred them, user demographics, bounce rates, average engagement rate, user flow on website, etc. If you run Google AdWords campaigns, you can link it to GA to track specific user actions relating to your AdWords campaigns. You can even setup conversion goals on your website such as a user visiting a specific page or filling out a web form, spending a certain amount of time on your website, etc. This is a very powerful tool and I highly recommend learning to use it and potentially even becoming Google Analytics Certified. I personally set up the Google Analytics code via Google Tag Manager (GTM) as I prefer a cleaner code structure and it gives me the ability to make changes, add other code or analytics moving forward without editing the actual site code. GTM doesn’t work too well with Google Optimize at the moment and isn’t the recommended mode of deployment by Google, just something to keep in mind if you’re testing out Google Optimize. Setup a Google AdWords account to gain access to the Google Keyword Tool – You can skip this if you’d rather use any of the other readily available third party tools for your keyword analysis. There are several ways to use the data from third party tools in conjunction with the Google AdWords Keyword Planner for best results. If you have any other tips or tricks to share, comment below and let us know. It’s superb. So well explained and easy to understand. Frankly, didn’t know the technology was evolving so rapidly. Knowledgeable Blog for SEO beginners. It is a wonderful information and also gets good knowledge and ideas from this article. The author is giving good thoughts and suggestions to each and every reader through this article. Looking forward to another article.